One of the core values of International House is to promote personal growth in our residents, so that they may build the confidence necessary to manage present and future challenges. We encourage residents to venture beyond their comfort zone and get involved in leadership and volunteering activities both in Australia and overseas. Students can play a vital role in the management of the House through their participation in the International House Student Club. The Club elects its own office bearers who represent student interests and who aim to connect and provide opportunities for undergraduate residents of the college. 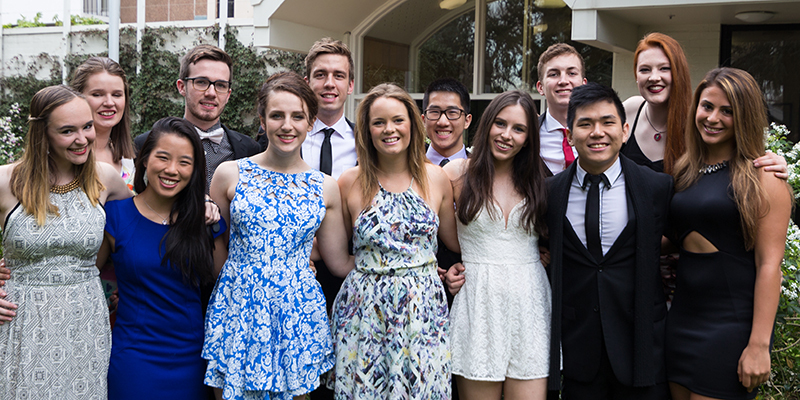 They work closely with the Head and Deputy Head of College to organise a comprehensive social calendar during the year to immerse students in the college experience. During the year they pursue an active involvement locally and globally, providing opportunities for residents to be involved in volunteering projects that develop confidence and leadership skills. The Student Club produces its own weekly newsletter The Globe, which keeps students connected with upcoming events and provides an outlet for budding writers and photographers. Each summer International House students spend a month or more in rural Thailand as part of the Thai Rural Education and Development (TREAD) project. The Project aims to help improve the English of students at Rajaprajanugroh Nang Rong School and fund sustainable initiatives in neighbouring schools. In the past, the TREAD project has funded vegetable gardens, fish ponds and chicken farms to decrease the outsourcing of food, installed water filters to improve hygiene and rubbish banks to encourage recycling. International House students have a healthy interest in volunteering and raising community support for non-profit organisations. In the past, students have volunteered and raised funds for various causes including Liptember, the World Wildlife Fund, End Polio Now and the World's Greatest Shave. In 2014, International House students participated in the Davis Project for Peace, a foundation that supports students to engage in global projects oriented towards peace and sustainability. 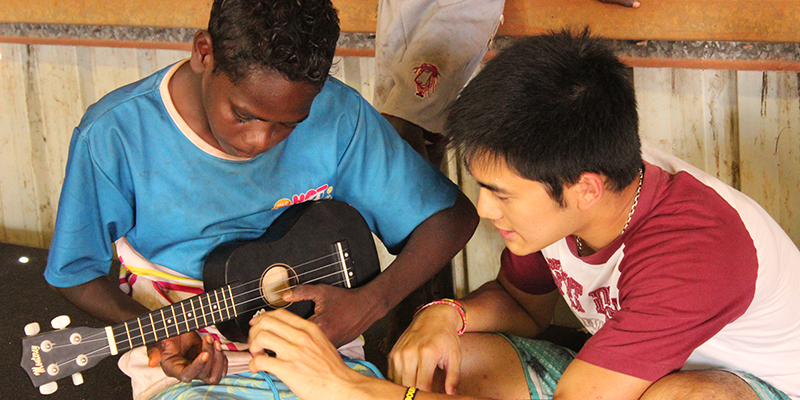 The students developed a school holiday program for Indigenous High School students living in a remote region of the Northern Territory of Australia. The project spread awareness about issues faced by many Aboriginal communities and provided a valuable cross-cultural experience.